If someone tears the muscles that insert in and around the hip, this is called a hip flexor tear. This is an especially painful injury that could make it difficult to walk. Sometimes, these symptoms can be confused with other traumatic injuries. When people visit the doctor, he or she will likely put the individual through a series of physical examination techniques to test the strength of the hip. Through this examination, a tear of the hip flexor should become evident. Then, the treatment process can begin. Pain Management: A hip flexor injury can be particularly painful and it is important to control the pain during the recovery process. This means using anti-inflammatory medications such as Motrin and Tylenol, ice, and heat to relax the muscles and relieve discomfort. In some cases, opioid medications might be needed. Muscle relaxants can also be helpful. Physical Therapy: Small tears can be managed with physical therapy. Over time, the fibers will heal. Stretching and strengthening the muscles is of critical importance during this recovery. Gradually, people should feel their hip return to full strength. Surgery: Large tears, such as those seen in traumatic accidents, might require surgical repair. In this procedure, the fibers will be sewn back together. It is important to note that physical therapy is often required after this procedure to strengthen the hip flexors. Watch YouTube Video: When to See a Doctor about Chronic Hip Pain. In this video, Dr. Steven Allsing with Sharp Grossmont Hospital explains the symptoms of chronic hip pain and advises when to see a doctor. Serving as an objective presence who can help family members sort through all of their options, placing them in an appropriate position to make a recovery. Working with accident reconstruction professionals to make sure that the mechanism of the accident has been listed correctly. Reviewing records and helping individuals seek damages related to their injuries, emotional pain, and suffering. Moving a case to the courts when required. Nobody should ever have to face such a tough situation alone. An experienced Sacramento personal injury lawyer can help families during the recovery process. You and your family could be entitled to a financial reward. I’m Ed Smith, a Personal Injury Lawyer in Sacramento. Anyone who tears their hip flexor could end up with chronic complications stemming from their injury. If a loved one has suffered a major hip injury following a car accident, call me today at (800) 404-5400 or (916) 921-6400 for free, friendly legal advice. I am proud to be a member of the Million Dollar Advocates Forum and the Top One Percent, a National Association of Distinguished Counsel. Everyone is invited to see our verdicts or settlements. Take a look at our client comments and reviews: Yelp, Avvo, & Google. Image Attribution: The image that was used at the top of this article is stored on Pixabay. 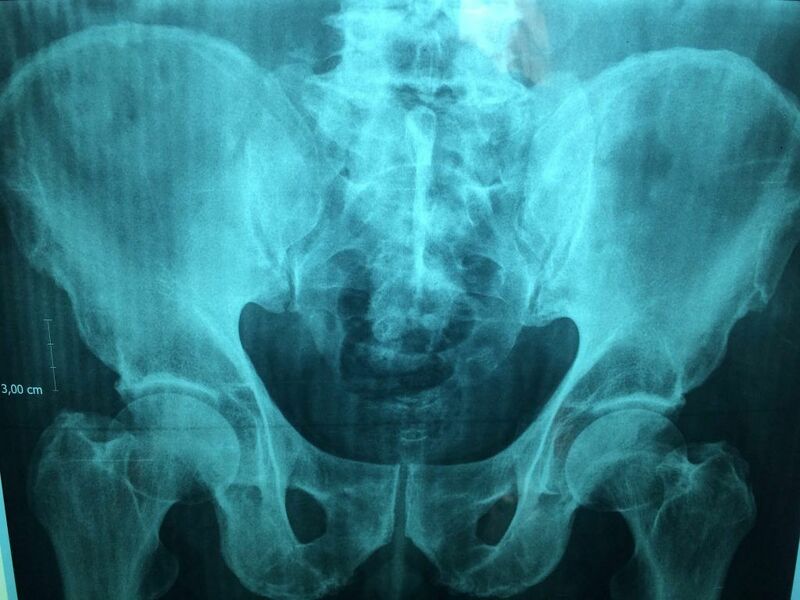 The picture has been copied and shown here with permission/Hip Flexor Tear.